Charles W. Gove Sr., age 80, of Randolph, died Wednesday, April 3, 2019 at Beaver Dam Community Hospital. Visitation for Charles will be at Koepsell-Murray Funeral Home in Beaver Dam on Saturday, April 6, 2019 from 11:00 a.m. to 1:00 p.m. Funeral services will follow beginning at 1:00 p.m.
Charles William Gove was born on January 11, 1939 to the late George and Jeanette (White) Gove in Williamstown, Dodge County, Wisconsin. He served in the US Army and was stationed at Fort Leonard Wood, Missouri. While in the service, Charles played for the Army baseball team. On January 28, 1961, he was united in marriage with Phyllis Livingston at Courtland Methodist Church. Charles worked as a brake press operator at Monarch Range and then at Maysteel Industries until his retirement. He loved sports, both playing and watching, and even more than that, he enjoyed the company of others, especially his family and grandchildren. Charles was proud to be able to join the Honor Flight on a trip to Washington D.C. in September of 2017. Charles is survived by his wife Phyllis of Randolph; his three children, Charles (Sharon) Gove, Jr. of Markesan, Patty (Jeff) DeVries of Randolph, and Leanne (Chris) Hoyme of Randolph; four grandchildren, Zack and Hannah Gove, Joe DeVries, and Josh (Zoe) DeVries; six brothers and sisters, Carolyn Flegner of Wautoma, Patricia Huizenga of Randolph, Joan (Vernon) Selk of Randolph, George (Joanne) Gove of Amarillo, TX, Jeanette (Harry) Manning of Beaver Dam, and Vern (Jan) Gove of Portage; his sister-in-law, Marian Omen; his canine companion Hank; nieces, nephews, other relatives and friends. He was preceded in death by his parents; seven brothers and sisters, Carroll Gove, Glen Gove, Eleanore (Jim) Gay, Maurice (Carol) Gove, Ryan (Darlene) Gove, Sandra Wendt, and Clayton (Dorothy) Gove; and three brothers-in-law, Al Flegner, Anthony Huizenga, and John Omen. 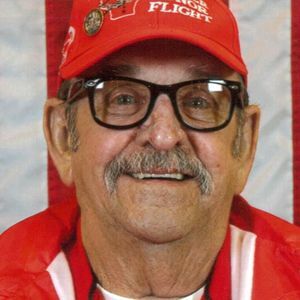 If desired memorials may be made in Charles Gove, Sr.'s name to Badger Honor Flight.